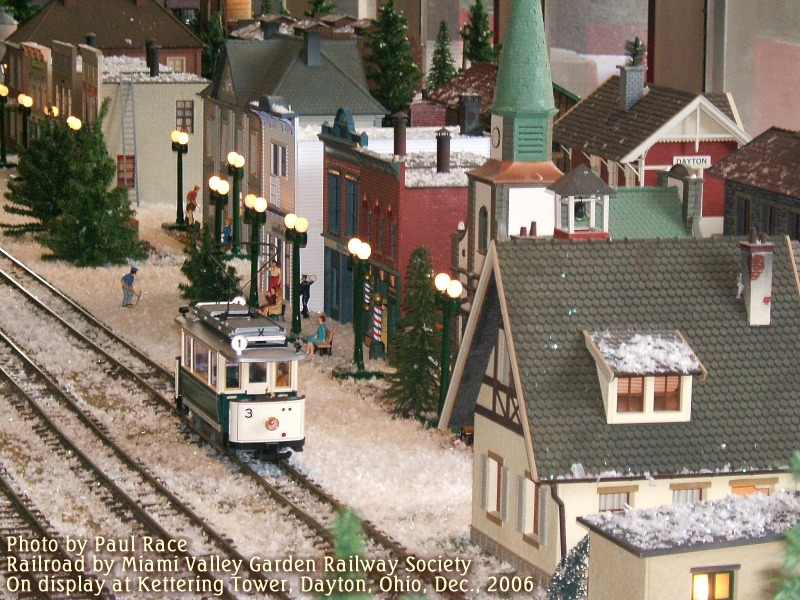 Big Indoor Trains™ was started in early 2007 to answer questions about using big trains indoors, especially with Collectible Villages and other uses that fall outside the scope of traditional model railroading. Since then, folks have been asking us lots of questions about On30, O gauge, and many other kinds of indoor trains and towns. This page is to help us answer your questions more effectively. Or type your name, e-mail address, and message into the following form. In case you wondered, no salesman will call, and your contact information will not be given to anyone else under any circumstances. But it would help us plan future products and maybe even answer your question better if you'd help with a handful of survey questions, too. If you ordered a Lionel product, the best place to start is on the Lionel Order Tracking page. If you ordered any other product, including Bachmann, Hawthorne Village, and AristoCraft, please go to the general Order Tracking page. For all other questions, concerns, suggestions, etc., please use the form below. Note for Real People Who Want to Sign Up Sadly, every week dozens of spammers and jokesters fill out this form thinking that somehow their unwelcome advertisements or content will show up on my site (they don't). Some of those fake requests from spammers even come with real people's e-mails attached - they've harvested someone else's address book so their requests would look legit. So I'm now asking people who want to subscribe to our newsletters to supply their real full name and some information about themselves and their hobby so we know it's it's not just a random spam attempt. Please check off boxes that apply to you (I can tell if a real hobbyist does this), and add a comment about your interests in trains or related hobbies. Considering how much personal information I've shared over the years on these web pages, I don't think that's asking too much. Again, NONE of your personal information will every be revealed, sold, traded, or used in any way except for me to have a better idea of who my readers are. I used to try to get back to folks who signed up with incomplete or apparently incorrect information, in case they had just hit the send button too soon or something. But 99 times out of 100, it wasn't a real person at all. Unfortunately, that kind of followup on our part meant that we spend hours following up on would-be hackers that we could have spent helping out real people with real questions. So, if you attempt to sign up with incomplete or apparently false information, we will be forced to delete your request without even getting back to you. I heartily apologize for any inconvenience, but the fake sign-up requests have gotten out of control at our end, and we want to devote our attention to real people with real questions. Would you like to receive e-mail announcements when new articles or special announcements are posted on the Big Indoor Trains™ site? Would you like to receive (by US Mail) any Big Indoor Train-related product catalogs that become available? Please enter some information about your interest(s) in trains or related hobbies (required). 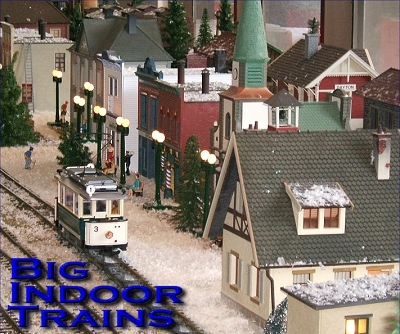 To return to the Big Indoor Trains™ Home Page, click here. To return to the Big Christmas Trains™ Home Page, click here. To return to the Family Garden Trains™ Home Page, click here. Note: Big Indoor Trains(tm), Family Garden Trains(tm), Big Train Store(tm), Garden Train Store(tm), and Big Christmas Trains(tm) are trademarks of Breakthrough Communications(tm) (www.btcomm.com). All information, data, text, and illustrations on this web site are Copyright (c) 1999, 2000, 2001, 2002, 2003, 2004, 2005, 2006, 2007, 2008, 2009, 2010, 2011, 2012, 2013 by Paul D. Race. Reuse or republication without prior written permission is specifically forbidden.